Let's learn how to develop RESTful APIs with Python and Flask. TL;DR: Throughout this article, we are going to use Flask and Python to develop a RESTful API. We will start by creating an endpoint that returns static data (dictionaries). After, we are going to create a class with two specializations and a few endpoints to insert and retrieve instances of these classes. Finally, will take a look on how to run the API on a Docker container. The final code developed throughout this article can be found in this GitHub repository. I hope you enjoy! "Flask allows Python developers to create lightweight RESTful APIs." Nowadays, choosing Python to develop applications is becoming a very popular choice. 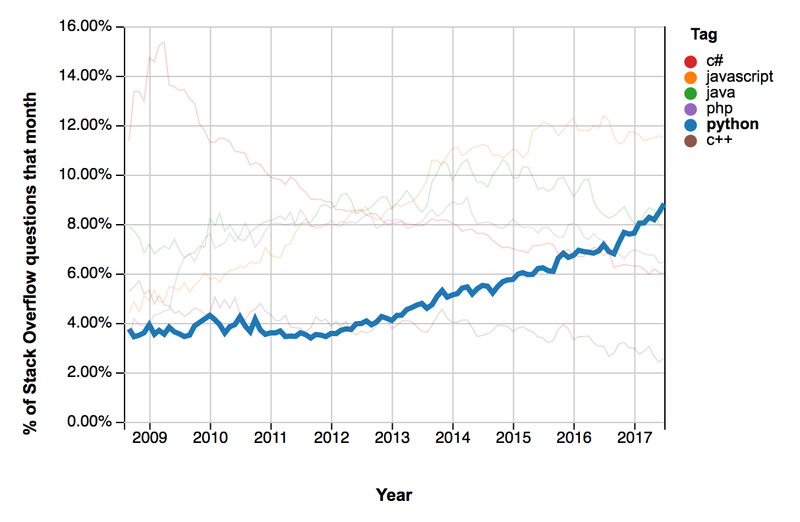 As StackOverflow recently analyzed, Python is one of the fastest-growing programming languages, having surpassed even Java on the number of questions asked on the platform. On GitHub, the language shows signs of mass adoption as well, occupying the third position on the number of opened Pull Requests in 2016. The huge community that is forming around Python is improving every aspect of the language. More and more open source libraries are being released to address many different subjects, like Artificial Intelligence, Machine Learning, and web development. Besides the great support provided by the overall community, the Python Software Foundation also provides excellent documentation where new adopters can learn its essence fast. When it comes to web development on Python, there are two frameworks that are widely used: Django and Flask. Django is older, more mature, and a little bit more popular. On GitHub, this framework has around 28k stars, 1.5k contributors, ~170 releases, and more than 11k forks. On StackOverflow, roughly 1.2% of questions asked in a given month are related to Django. Flask, although less popular, is not far behind. On GitHub, Flask has almost 30k stars, ~445 contributors, ~21 releases, and almost 10k forks. On StackOverflow, up to 0.2% of questions asked in a given month are related to Flask. Even though Django is older and having a slightly bigger community, Flask has its strengths. From the ground up, Flask was built with scalability and simplicity in mind. Flask applications are known for being lightweight, mainly when compared to their Django counterparts. Flask developers call it a microframework, where micro (as explained here) means that the goal is to keep the core simple but extensible. Flask won’t make many decisions for us, such as what database to use or what template engine to choose. Lastly, Flask also has extensive documentation that address everything that developers need to start. Being lightweight, easy to adopt, well-documented, and popular, Flask is a very good option for developing RESTful APIs. First and foremost, we will need to install some dependencies on our development machine. Basically, what we will need to install is Python 3, Pip (Python Package Index), and Flask. Fortunately, the process of installing these dependencies is quite simple. If we are using some recent version of a popular Linux distribution (like Ubuntu), chances are that we already have Python 3 installed on our computer. If we are running Windows, then we will probably need to install Python 3, as this operating system does not ship with any version at all. Python 2 is installed by default on Mac OS and we have to install Python 3 by ourselves. Note that the command above might produce a different output in case we have a different Python version. What is important is that the output begins with Python 3, and not Python 2. If we get the latter, we can try issuing python3 --version. If this command produces the correct output, then we have to replace all commands throughout the article. [Pip is the recommended tool for installing Python packages. While the official installation page states that pip is already installed if we're using Python 2 >= 2.7.9 or Python 3 >= 3.4, installing Python through apt on Ubuntu doesn't install pip. Therefore, let's check if we do need to install pip separately, or if we already have it. If the command above produces an output similar to pip 9.0.1 ... (python 3.X), then we are good to go. If we get pip 9.0.1 ... (python 2.X), then we can try replacing pip with pip3. If we are unable to find Pip for Python 3 on our machine, we can follow the instructions here to install Pip. After installing the package, we will create a file called hello.py and add five lines of code to it. As we will use this file just to check if Flask was correctly installed, we don't need to nest it in a new directory. # * Serving Flask app "hello"
On Ubuntu, we might need to edit the $PATH variable to be able to run flask directly. To do that, let's touch ~/.bash_aliases and then echo "export PATH=$PATH:~/.local/bin" >> ~/.bash_aliases. After executing these commands, we can reach our application by opening a browser and navigating to http://127.0.0.1:5000/ or by issuing curl http://127.0.0.1:5000/. pip installs packages globally, making it hard to manage multiple versions of the same package on the same machine. requirements.txt need all dependencies and sub-dependencies listed explicitly, a manual process that is tedious and error-prone. To solve these issues, we are going to use Pipenv. Pipenv is a dependency manager that isolates projects on private environments, allowing packages to be installed per project. If you’re familiar with NPM or Ruby’s bundler, it's similar in spirit to those tools. Now, to start creating a serious Flask application, let's create a new directory that will hold our source code. 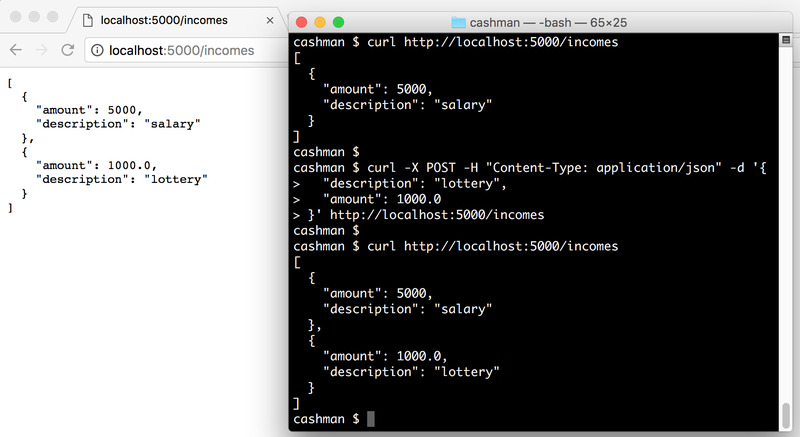 In this article, we will create Cashman, a small RESTful API that allows users to manage incomes and expenses. Therefore, we will create a directory called cashman-flask-project. After that, we will use pipenv to start our project and manage our dependencies. Pipfile, a file that contains details about our project, like the Python version that we are using and the packages that our project needs. Pipenv.lock, a file that contains exactly what version of each package our project depends on, and its transitive dependencies. Like other mainstream programming languages, Python also has the concept of modules to enable developers to organize source code according to subjects/functionalities. Similar to Java packages and C# namespaces, modules in Python are files organized in directories that can be imported by other Python scripts. To create a module on a Python application, we just need to create a folder and add an empty file called __init__.py to it. Let's create our first module on our application. This is going to be our main module, with all our RESTful endpoints. Inside the directory that we created for our application, let's create another one with the same name, cashman. The main cashman-flask-project directory created before will hold metadata about our project, like what dependencies it has, while this new one will be our module with our Python scripts. Inside the main module, let's create a script called index.py. In this script, we will define the first endpoint of our application. Just like in the previous example, our application simply returns a "Hello, world!" message. We will start improving it in a second, but first let's create an executable file called bootstrap.sh in the main directory of our application. The first command defines the main script to be executed by Flask, just like we did when we ran the "Hello, world!" application. The second one activates the virtual environment, created by pipenv, so our application can find and execute its dependencies. Lastly, we run our Flask application listening to all interfaces on the computer (-h 0.0.0.0). To check that this script is working correctly, we can execute ./bootstrap.sh now. This will give us a similar result to when we executed the "Hello, world!" application. # * Serving Flask app "cashman.index"
Since we are improving our application, we have removed the endpoint that returned "Hello, world!" to users. In its place, we defined an endpoint to handle HTTP GET request to return incomes, and another endpoint to handle HTTP POST requests to add new incomes. These endpoints are annotated with @app.route to define that they listen to requests on the /incomes endpoint. Flask provides a great documentation on what exactly this does. Right now, we are manipulating incomes as dictionaries to facilitate the process. We will soon create classes to represent incomes and expenses. Using dictionaries in a very simple use case like the one above is enough. However, for more complex applications that deal with different entities and have multiple business rules and validations, we might need to encapsulate our data into Python classes. To learn the process of mapping entities (like incomes) as classes, we will refactor our application. The first thing that we will do is create a submodule to hold all our entities. Let's create a directory called model inside the cashman module and add an empty file called __init__.py on it. Note that besides the Transaction class, we also defined a TransactionSchema. We will use the latter to deserialize and serialize instances of Transaction from and to JSON objects. This class inherits from another superclass called Schema that is defined on a package yet to be installed. Marshmallow is a popular Python package for converting complex datatypes, such as objects, to and from native Python datatypes. Basically, we can use this package to validate, serialize, and deserialize data. We won't dive into validation in this article, as it will be the subject of another one. Though, as mentioned, we will use marshmallow to serialize and deserialize entities through our endpoints. The code of the enumerator is quite simple. It just defines a class called TransactionType that inherits from Enum and that defines two types: INCOME and EXPENSE. Similar to Income, this class hardcodes the type of the transaction, but now it passes EXPENSE to the superclass. What makes it different is that it forces the amount passed to be negative. Therefore, no matter if the user sends a positive or a negative value, we will store it as negative to facilitate calculations. The new version that we just implemented starts by redefining the incomes variable into a list of Expenses and Incomes, now called transactions. Besides that, we have also changed the implementation of both methods that deal with incomes. For the endpoint used to retrieve incomes, we defined an instance of IncomeSchema to produce JSON representation of incomes. We also used filter to extract incomes only from the transactions list. In the end we send the array of JSON incomes back to users. The endpoint responsible for accepting new incomes was also refactored. The change on this endpoint was the addition of IncomeSchema to load an instance of Income based on the JSON data sent by the user. As the transactions list deals with instances of Transaction and its subclasses, we just added the new Income in that list. and instead of filtering by TransactionType.INCOME we filter by TransactionType.EXPENSE, to send expenses back to the user. As we are planning to eventually release our API in the cloud, we are going to create a Dockerfile to describe what is needed to run the application on a Docker container. We need to install Docker on our development machine to test and run dockerized instances of our project. Defining a Docker recipe (Dockerfile) will help us run the API on different environments. That is, in the future, we will also install Docker and run our program on environments like production and staging. The first item in the recipe defines that we are going to create our Docker container based on the default Python 3 Docker image. After that, we update APK and install pipenv. Having pipenv, we define the working directory that we will use in the image, and we copy the code needed to bootstrap and run the application. In the fourth step, we use pipenv to install all our Python dependencies. Lastly, we define that our image will communicate through port 5000 and that this image, when executed, needs to run the bootstrap.sh script to start Flask. 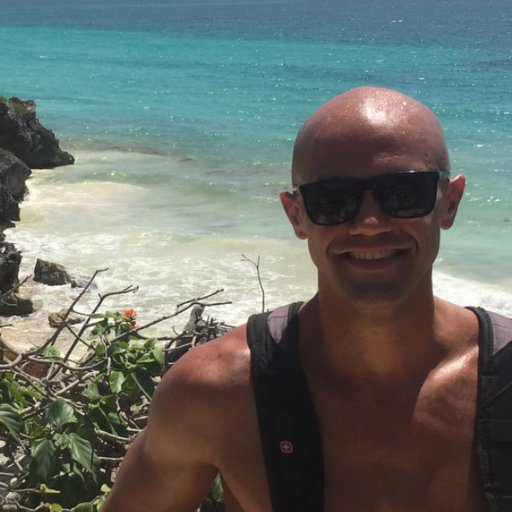 docker build -t cashman . The Dockerfile is simple but effective, and using it is similarly easy. With these commands and this Dockerfile, we can run as many instances of our API as we need with no trouble. It's just a matter of defining another port on the host, or even another host. "Authorization header must start with"
return "All good. You don't need to be authenticated to call this"
return "All good. You only get this message if you're authenticated"
To learn more about securing Python APIs with Auth0, take a look at this tutorial. Alongside with tutorials for backend technologies (like Python, Java, and PHP), the Auth0 Docs webpage also provides tutorials for Mobile/Native apps and Single-Page applications. In this article we learned about the basic components needed to develop a well structured Flask application. We took a look on how to use pipenv to manage the dependencies of our API. After that, we installed and used Flask and Marshmallow to create endpoints capable of receiving and sending JSON responses. In the end we also took a look at how to dockerize the API, which will facilitate the release of the application to the cloud.